Carlisle River Wildlife Shelter’s Ron and Carola Anstis are heartbroken to learn animals they had spent years caring for were being shot dead thanks to approval from the State Government. Embedded conflicts of interests exist within the State government because they have responsibilities for both administering the Wildlife Act, to protect native species, AND for administering permits to kill them! (Authority to Control Wildlife permits). 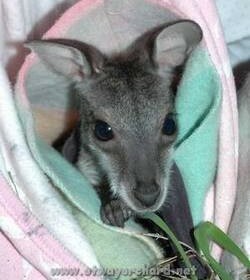 They are the only wildlife shelter in the area that cared for Eastern Grey Kangaroos, between Geelong and Warrnambool, and that’s a big area. However, the area is too small to share with wildlife, and some narrow-minded people still want to access firearms, and kill them. 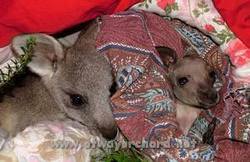 The Anstises take in pouch young we care for them for about two years and spend more than $1000 on each. Ron Anstis said “we just told the department we can’t put that much into it only for them to allow someone else to kill it. This is the same department that issue us our wildlife licence.” So the same Government Department, (Department of Environment, Land, Water and Planning- DELWP), that issues wildlife licences, is the same department that issues killing permits. Ron and Carola have no ability to fight that permit what so ever, and there is no appeals process to allow residents to dispute cull permits where required. The Department admits they have no data or records on how many native animals in Victoria, of most species, except for anecdotal evidence. The government officer was satisfied that the landholder had explored available nonlethal management measures, such as maintenance and improvement to boundary fencing, prior to applying for the ATCW. “The officer also confirmed that the kangaroos were causing damage to pasture from overgrazing….” Wonder if they’ve assessed if it’s been “overgrazed” from overstocking of livestock and/or feral animals? “Two rabbits eat the same amount as a kangaroo and a cow with a calf at foot will eat as much as 30 kangaroos; DELWP should be required to explain to the applicant the dietary differences between kangaroos and cattle so that the applicant can be properly informed about the amount of competition for pasture that actually exists,” Mr Anstis said. The couple left a rescued joey at government office in protest over a kangaroo cull permit at their neighbour’s property. The Anstises were forced to leave eight-month-old Angel at the Department of Environment, Land, Water and Planning offices in Colac on Tuesday. Anstises had decided to stop rescuing and rehabilitating joeys and injured eastern grey kangaroos because of the contradictory action by DELWP of giving their neighbour permission to legally cull 60 roos! The neighbours want to improve their pastures, the cheap way. The couple, with 23 years of experience in wildlife care, is calling for state government change that would see exclusion zones around wildlife shelters to prevent the allocation of culling permits. Victoria, the most cleared and damaged State, has lost it’s balance, and has no place for EGK! Livestock, infrastructure, land clearing, roads, urbanisation and liberal distribution of ATCW means these iconic native kangaroos are doomed to be left to die, if found as joeys, in the large area of Victoria that the Anstises served. If everybody wants to kill kangaroos on their property there will be soon none left. I can feel the frustration of the cares. Kangaroos don’t eat that much. In the wild you will never find overgrazed areas by kangaroos only by rabbits. It’s just the same as killing all sharks, just because a surfer accidentally gets bitten. Your in their environment. It’s the same with our wildlife, they don’t understand that a fence is a boundary that they can’t cross. It said in the Addy that the owners of the property have only been there for two weeks so that non lethal control options could not be trialled. Shame on the Minister Lisa Neville to talk about amending legislation. And shame on the Department ofEnvironment, Land, Water and Planning for not trialling non lethal control first before giving the permit to shoot the grey kangaroos.